When I was first diagnosed with sleep apnea, I was prescribed a CPAP machine. This is a device that consists of an air compressor, a mask, and some tubing. After a few days of not sleeping due to the noise and discomfort, I put it in the closet and found out that many other people do the same thing. Even if you can use this device and get uninterrupted sleep, you have to take it with you when you go on vacation. I guess that I am a bit lazy and always believe that there is a better way to do things. That is why I started researching ways to overcome sleep apnea without using a CPAP. After two years of research and trying out countless theories and devices, I finally figured it out. Read my free eBook (http://wp.me/P5950Y-d) for eliminating Snoring and Sleep Apnea without a CPAP. 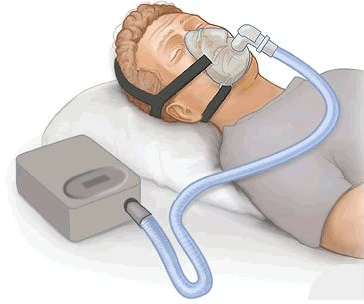 This entry was tagged cpap, discomfort, eBook, fail, pruebasBMA, sleep apnea, wikimedia commons. Bookmark the permalink.